We’ve already looked at the Greek words translated Hell in our English Bibles: Hades and Gehenna. 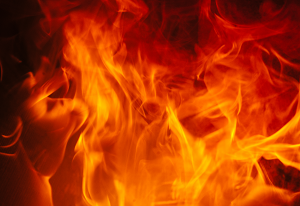 In this article, we’re going to look at John’s comments on the Lake of Fire and the words Paul used to describe post-mortem judgment, too. This post is longer than usual since we also tackle three related questions. This is the 11th article in our series on Messy Dogma as we seek to re-engage with the Message and Mission of Jesus. In this fifth of the sub-series, The Words We’ve Fudged, we focus on issues relating to the doctrine of eternal judgment. If you’re just joining us, you’ll find it more helpful to start with the first article in the series, Year Zero: The World Jesus Invaded. You may also want to peruse the explanation and disclaimers to the series. Without question the “lake of fire” (v. 10) and the “great white throne” (v. 11) are powerful pictures proclaiming the devil’s final defeat and lauding the sovereignty and ultimate victory of Christ. It seems that it is only unbelievers who face the “great white throne” judgment, and interestingly they are “judged according to their works” (vv. 12, 15) — interesting, because this is similar to the phrase Paul used for both believers and unbelievers: God “will render to each one according to their deeds” (Romans 2:5-8; 2 Corinthians 5:10). In both cases, it implies that God’s judgment is just — and seems to imply that for unbelievers, the time will fit the crime. 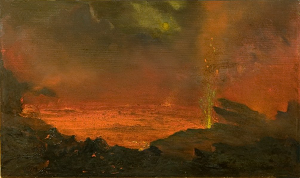 It is also worth noting that John’s fiery lake is not a direct synonym for Gehenna, Jerusalem’s rubbish dump; we make this connection only because of our familiarity with this symbolism and our conditioning to the doctrine of endless torments. John’s imagery more than likely reflects the colloquial use of Hades, and by extension, the purification properties of fire in the first century, as we will see in a minute. John goes on to say that “Death and Hades are cast into the lake of fire. This is the second death” (v. 14). Again, this is poetic language and Death and Hades are personified; however, the point is emphatic: the final enemy is defeated — Christ’s ultimate victory is complete. 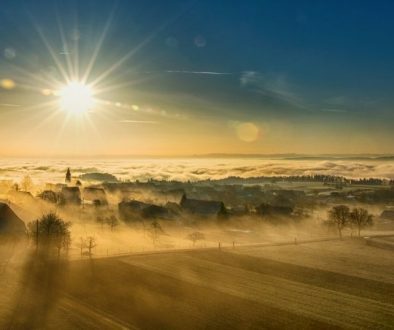 The next chapter in Revelation opens with all things made new, and the original plan of God fulfilled in the riveting picture of an open-heaven, the “New Jerusalem,” on earth (Revelation 21:1ff). And John amazingly states that the “gates shall not be shut at all” (Revelation 21:25). Whoa! The gates shall not be shut at all? What could this mean? Again, coming to definitive conclusions wouldn’t be smart (due to the cryptic nature of the genre), but it does seem to convey the impression that God’s invitation remains open to those who’ve been cast out. What’s more, in the middle of these mind-boggling images, John records a list of the ungodly who “shall have their part in the lake which burns with fire and brimstone, which is the second death” (Revelation 21:8). First, this may indicate that they only have a “part” or portion in the lake of fire — the idea of a limited rather than permanent sentence may be implied. Second, “fire and brimstone” speak of purification — the implied punishment is one of just chastisement or discipline, not endless torture or pain. And third, this second and final death in which “Death and Hades” seem to ‘die,’ or the death of Death, may imply that unrighteousness, or death itself, is routed in the ungodly. And finally, as mentioned, that the gates are not shut might then be a powerful reminder of God’s willingness to welcome the repentant ungodly. Of course, in the Scriptures, fire is a reference to judgment and purification. “For our God is a consuming fire” (Hebrews 12:29); He consumes the dross from our lives. Fire speaks of God’s discipline or chastisement — which is motivated by His Father’s heart (Hebrews 12:5-11); His loving and just nature. It is also notable that the Greek word for “torture” (tumpanizo) is used only once in the New Testament; in lauding believers who sacrificed all for God, the writer of the Hebrews writes, “others were tortured … that they might obtain a better resurrection” (Hebrews 11:35). In other words, “torture” is never used to describe God’s judgment. In Mark’s Gospel, Jesus said: “For everyone will be seasoned with fire … Salt is good, but if the salt loses its flavour, how will you season it?” (Mark 9:49, 50). Both fire and salt were associated with purification in the first century. Here Jesus says, “everyone will be seasoned with fire.” Similarly, Paul taught that believers will give account to God, and in so doing, their work will be judged “by fire” on that “Day” (1 Corinthians 3:13-15). Did you get that? Believers and fire. We readily understand the metaphoric use of the word “fire” when it relates to believers; why do we turn it into something more sinister when it relates to unbelievers? So, for instance, when Jesus refers to, “weeping and gnashing of teeth,” He is much more likely referring to bitter regret than literal torture (Matthew 8:12). And this applies to the many images we have in Revelation, too. And perhaps we come to a point where a qualification is in order. None of the above minimises the severe consequence of post-mortem judgment. The use of vivid language is intended to provoke sober and vigorous reflection. To say it more emphatically, God’s post-mortem chastisement is unimaginably horrible. Words like bitter regret, chronic isolation, overwhelming loneliness, devastating meaninglessness, crushing despair … probably still fail to capture it fully. Actually, it’s nigh impossible to explain or imagine; hence, the use of a metaphor becomes handy. God is a just God, and His judgment is real and substantial: the time will fit the crime. However, remedial chastisement is not unending torture, and God is not cruel and vengeful, which literal never-ending torment does, without question, suggest. To stress this point … how could God so emphatically judge ancient Israel’s practice of child sacrifice if He intends to, so to speak, do the same to His lost children? God said angrily, “they built the high places of Baal, which are in the Valley of the Son of Hinnom, to cause their sons and their daughters to pass through the fire to Molech, which I did not command them, nor did it come into My mind that they should do this abomination.” (Jeremiah 32:35). Remember, this very Valley of Hinnom became the actual setting for Gehenna, Jerusalem’s accursed dumpsite. Recall, too, how Jesus rebuked James and John for wanting to call down fire on those who rejected Him; saying, “You don’t know what manner of spirit you are of … the Son of Man did not come to destroy men’s lives but to save them” (Luke 9:55, 56). So, literal unending torture by fire is not consistent with God’s nature. Biblical symbolism merely attempts to convey a reality that we cannot fully comprehend in our finite minds. Using fire as a metaphor certainly captures God’s displeasure and assures us that the unbeliever’s chastisement is, without question, no trivial matter. However, as we’ve seen already, the metaphor is used for both the judgment of the believer and the unbeliever. Let’s turn to Paul, and the words he chose to describe God’s post-mortem judgment. Recall, Paul never used the word hell. And he used the word Hades once, as a poetic synonym for death over which Christ has unquestionably triumphed. Paul does, however, refer to the “wrath of God,” and used this expression in describing God’s post-mortem judgment. For example, he warns the hypothetical ungodly man, “you are treasuring up for yourself wrath in the day of wrath and revelation of the righteous judgment of God” (Romans 2:5). The Greek word “wrath” (orge) is actually the common Greek word for anger. Unfortunately, it’s taken on a bit of a life of its own, and many modern translations keep using the word “wrath” rather than the more appropriate word, “anger” such is its pride of place in our spiritual jargon. Having said that, perhaps it is not a bad choice since it describes God’s ultimate anger at judgment. While God is “angry with the wicked every day” (Psalm 7:11), His wrath does seem to convey the intensity of His angry displeasure when the ungodly give account to Him after death. Paul explains that those who put their faith in Christ in this life are “saved from wrath through Him” (Romans 5:9). Hence, believers do not face this sense of God’s anger that unbelievers do (even though they still have to give account of themselves). However, in God’s righteous and just anger, the unrighteous are punished “according to [their] deeds” (Romans 2:6). Again, this phrase implies the time will fit the crime. As sober as this judgment is, there is no implication in the word “wrath,” and the way it is used, to suggest that God remains angry forever and ever. The way some salivate over the phrase “the wrath of God,” it’s not difficult to picture a sadistic God wielding a giant flyswatter eager to squash the ungodly. However, in light of His merciful, gracious and just nature, we’re always provoked with a sense of hope instead. “For His anger is but for a moment, His favour is for life” (Psalm 30:5; see also Psalm 103:8; 145:8; Lamentations 3:22-23). It is rather unfortunate that the word “wrath” has taken on such a menacing overtone. If we read the word “anger” instead of “wrath” in these passages, we may strip off this incorrect cruel sense of the word. It occurs to me now that if we use the phrase righteous anger or righteous displeasure instead of the heavy, loaded phrase “wrath of God,” we better capture the point. It’s interesting to me that Paul defines the ungodly man as one who is “self-seeking” and one who practices “unrighteousness,” not one who hasn’t said the sinner’s prayer or one who doesn’t claim mental accent to specific doctrinal points. Just as Jesus’ focus seemed to confront the deceitful power of self-interest, Paul makes self-seeking (and self-advancement) the critical issue. The ungodly resists or rejects God’s wooing because he’s obsessed with self. It’s his love of self; his love of independence, pride and self-gratification that keeps him separated from God. And it is this worship of Self that draws God’s intense righteous displeasure post-mortem. The unbeliever’s life-orientation decides his predicament afterlife. However, at the risk of redundancy, there is nothing in this word orge, or Paul’s use of it, that implies the idea of unending damnation. To be thorough here, besides the word wrath, Paul also uses the words indignation (meaning, ‘passionate displeasure’), tribulation (meaning, ‘pressure’) and anguish (meaning, ‘distress’) in Romans 2:8, 9, for example. Added to words like condemnation (referring to a ‘tribunal’), punishment (meaning ‘pruning’) and wrath (meaning ‘anger’) that we’ve already seen, that makes The Big Six. These six words stress the definitive, unbearable reality of the unbeliever facing God’s judgment, but they are all figurative words meant to provoke sober reflection. In fact, the same could be said of passages that refer to believers “suffering loss” (1 Corinthians 3:13-15) — a phrase meaning, ‘to injure’ — and that believers experience God’s “chastening,” described as “painful” (Hebrews 12:5-11). These are all strong words, but they do not convey the threat of endless torment. The word translated “perish” (Greek: apollumi) means, “to destroy.” Along with other words, such as its derivative apoleia translated “destruction” in Matthew 7:13, the word is taken to mean that God utterly or permanently destroys those who do not believe. However, from W. E. Vine’s An Expository Dictionary of Biblical Words we learn that with the Greek word apollumi “the idea is not extinction but ruin, loss, not of being, but of wellbeing.” In other words, this word does not automatically suggest literal annihilation, nor does it directly imply permanent destruction. For example, in his instructions concerning liberty and love, Paul wrote: “because of your knowledge shall the weak brother perish, for whom Christ died?” (1 Corinthians 8:11). Does he suggest that our misuse of liberty literally threatens to literally or permanently annihilate another, or does he mean we may offend our brother by failing to exercise love? The latter is clearly the meaning (c. Romans 14:15, 20, 21). Thus, it is reasonable to conclude that the Bible uses these strong words metaphorically, not literally, as a vivid expression of judgment. After using the word “perish” in John 3:16, Jesus followed it up with the hope-filled statement that “the world through Him might be saved” (John 3:17). To my knowledge, the only mainstream orthodox denomination that holds to this view is the Seventh-Day Adventists. Even though the word annihilation itself has a menacing tone to it, the basic premise is not without logic: since God is the Source of Life, to be cut off from Him is to no longer live — to no longer “be.” These devout Christians evangelise very effectively proclaiming the beauty of Christ and the life He gives both now and post-mortem, not needing to threaten unbelievers with eternal torment. Needless to say; that annihilation exists within the Christian orthodox tradition only confirms the argument that there is not just one dogmatic view we all have to swallow hook, line and sinker. And yes, some view annihilation in conjunction with remedial chastisement; that is, the ungodly who continue to rebel against God post-mortem and continue to resist God’s chastisement eventually cease to exist. We look at this further along with questions like “Does this mean everyone will be saved?” later in this Messy Dogma Series. Wow, so much to ponder! It goes without saying that one has a choice to make. Historically, there are three main theories of God’s post-mortem judgment within orthodox Christianity (remedial chastisement, annihilation or endless torment), and we’re free to settle on the one that sits with our conscience. However, by doing so, we’re to free others to make their own decision, too. What strikes me first at this point is that Jesus’ use of Gehenna again highlights His focus on the “here and now.” And then secondly, the notion that post-mortem judgment may, in fact, be remedial, opens the possibility for an understanding of a greater scope to the redeeming message of Jesus than ever before. In other words, the Kingdom message is not obsessed with “going to heaven” or “avoiding hell,” but resurrection life (that affects us individually and societally) in this age, and the restoration of all creation in the age to come. That last sentence is worth a re-read. Both Jesus, Paul and John trumped Death, Hades and the Lake of Fire as veritable non-issues by preaching the resurrection at Christ’s parousia, when the age to come dawns and all things become new. 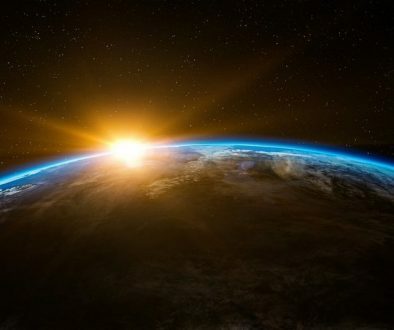 Again, considering the Background to Jesus’ Ministry (the world the message first changed), these aren’t merely abstract theories designed to appease our after-death fears; they ought to have great meaning and application now, today. This is where we’re headed, but first let’s look at two approaches to interpreting the New Testament message that leads to two vastly different results. Jude is as fiery as it gets in the New Testament. He refers to fallen angels who are “reserved in everlasting chains under the darkness for the judgment of the great day” (v. 6). He writes of Sodom and Gomorrah, who are set forth as an example, “suffering the vengeance of eternal fire” (v. 7). And speaks of the apostate, who are “reserved [for] the blackness of darkness forever” (v. 13). Unquestionably challenging words, words meant to beget a wholesome fear of the Lord in the hearers, especially those who are the subject of his righteous ire: “ungodly men, who turn the grace of God into lewdness and deny the only Lord God and our Lord Jesus Christ” (v. 4). That said, in an attempt to understand these phrases, let’s approach them honestly and accurately. The words “everlasting,” “eternal” and “forever” translate the Greek word aionios (or a derivative of the word), a concept that does not mean “unending” or “never-ending.” As we’ve seen, it refers to a qualitative measure not a quantitative one. In each case, the judgment described is a time-fits-the-crime measure not a never-ending one. And yes, these are among some of the sternest pronouncements in the New Testament. No soft soap here. However, substitute the word “appropriate” in each case and you get a better sense of the matter. Fallen angels are “reserved in appropriate chains under the darkness for the judgment of the great day” (v. 6). 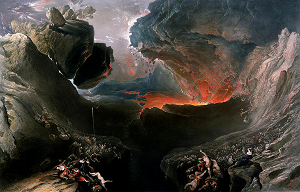 Sodom and Gomorrah, who are set forth as an example, “suffering the vengeance of appropriate fire” (v. 7). The apostate are “reserved [for] the blackness of darkness appropriately” (v. 13). I’m not suggesting that the translators should have used the word “appropriate” instead of “everlasting,” “eternal” or “forever.” There are no adequate English words, and that’s the issue. The translators’ choices are unquestionably flavoured by Augustine’s theory of “endless torments”. I suggest the word “appropriate” only to flush out the preconceived, erroneous assumptions we read into the words. Jude spoke of “eternal fire” in one breath and then the “blackness of darkness” in the next. So, is it fire or blackness? Of course, in a literal sense, the two aren’t mutually exclusive. But then he’s not talking literally is he. He’s using figurative language to make a point. In fact, Jude loves a good metaphor or three. In two verses, he describes the guilty using no less than five metaphors: “spots in your love feast,” “clouds without water,” “autumn trees without fruit,” “raging waves of the sea” and “wandering stars” (vv. 12, 13). Like many writers of the East, he’s using graphic language to paint a picture. We know these are obvious metaphors, but why do so many then switch logic when encountering the metaphoric use of fire and blackness? Because of a preconceived misunderstanding of the words. Are you saying Sodom and Gomorrah were consumed by a figurative fire? (Yes, I’ve been asked that question, dripping with sarcasm, by someone who then said, Gotcha! before I could offer reply.) My answer, after a pause to allow him to revel in his moment, was a gentle, No. Of course not. In His wisdom, God determined that such severe punitive action was warranted in these extreme cases. However, to then conclude that such action, necessary in the temporal here and now, translates into either post-mortem physical torture and/or never-ending punishment, is to draw on a Greek view of the afterlife not the Scriptures. Without question, those so judged would face severe chastisement after death. But unless we’re importing a Greek construct into our theology, we can trust that whatever happens post-mortem — to the guilty in such cases, to others, to us — God’s loving justice is both loving and just. And we can (and should) also remain consistent in our application of logic to these verses. As already mentioned, in the ancient world, fire was a symbol of purification. Like metaphoric chains that bind angels, like metaphor wandering stars, Jude uses fire metaphorically of God’s remedial judgment. Finally, let me point out another bias in the translation process. Consider the phrase “vengeance of eternal fire” (so translated in the NKJV). What does the word “vengeance” convey? It portrays a vengeful God out for his pound of flesh. Fortunately, most modern translations correctly use the word “punishment” instead, a word far more consistent with the Father’s just chastisement. Allow me to offer my own thoughts on the matter, even though I think it is only a small glimpse into a more complex issue. In my opinion, God deemed such action necessary whenever He determined redemption was not possible; when allowing evil to prevail would continue to cause untold misery and suffering on both the present and subsequent generations. Imagine Sodom and Gomorrah, for example. Cities in which evil abounded, cities in which unborn generations would be abused, molested and so corrupted, that they too would perpetrate such abominable atrocities. In His wisdom, God may determine that a severe intervention in the temporal here and now is, in fact, an act of salvation for those suffering such horrors in the present and for those who would in the future. And if we believe in God’s loving justice post-mortem, this severe temporal punishment is contextualised by God’s justice and mercy immediately following it. How tragic has the importation of the pagan concept of the infernal region been to Christendom? The great tragedy for me is the unspeakable acts of torture that have been carried out in the Name of God due to a tragic misunderstanding of a literal hell in which the damned are tortured. Do a Google search on medieval art depicting torture scenes in Hell. (You’ll do this exercise once and never again). This despicable tragedy does not in itself mean a literal view of hell as endless torture is solely to blame — we’ve progressed from this depraved low point some time back now — or that it’s necessarily incorrect (there are other valid reasons to claim this). Nor does it directly question the New Testament writers’ wisdom is using Greek afterlife terms metaphorically. However, it does urge upon us the importance of understanding the use of such metaphors and to think deeply about how the authors of the New Testament intended them (and did not); lest we too have a bits-and-pieces view of the judgment of unbelievers that perpetuates the problem … even as we applaud ourselves for the progress we’ve made. Why have I never heard of this before? Is this some new cop-out? Many Evangelical believers have never heard of a valid alternative to the doctrine of endless damnation; those of mainline Christian traditions are more likely to have had the opportunity. And there is a rather obvious reason for this. Mainline Christian traditions have always valued church tradition highly. Evangelicals, my own faith background, often accuse them of holding it too highly. And in some cases this is true. Church tradition is not on par with the Scriptures, but it can be tremendously helpful in understanding how various generations of believers have understood the Scriptures. And in a spirit of humility, this can and should guide our own understanding. The problem with too many Evangelicals (and I can speak more honesty and accurately about my own kind) is that we think Christianity started with us! That we’ve got the right, pure version of “it.” We arrogantly think we’ve discovered (or re-discovered) the model closest to God’s heart, and bag everything and everyone who went before us. Yes, God is restoring all creation, including His people, and by His grace, we are being perfected from glory to glory. However, we don’t operate in a vacuum and without understanding those who have laboured before us, we’re not only bound to repeat their mistakes, we’re likely to miss the many victories they enjoyed too. And let’s not kid ourselves. In all our progress, we can still too easily assimilate ideas, concepts, tools, and methodologies that are sometimes unhelpful and unhealthy. Evangelicals, with our praiseworthy zeal for evangelism, have by and large imbibed a doctrine of endless torment because it fits so well with our ‘pulpit – altar call – converts’ model of ministry. Offering heaven or threatening hell are surefire ways to coerce an immediate response from an audience. That the overwhelming majority of ‘converts’ don’t last beyond the moment the fear or emotion wears off is testimony that only love can win the heart. That some do genuinely respond speaks more to God’s grace than the model used, and I’d go so far as speculating that the heart was won not because of the bribe or threat, but in spite of it. And the irony is, the doctrine of endless torments stems from within Christian tradition not from Scripture itself. But if we arrogantly throw out everything that has gone before us, we’ll remain ignorant of this reality. If you have never heard of anything but the doctrine of eternal damnation rest assured that many faithful followers of Jesus throughout the centuries have lived and witnessed fruitfully while believing in valid alternatives.